Ohio State vs Maryland is one of college football's ongoing wildfires if wildfires always ended as quickly as they started. The ongoing spat stems primarily from a homegrown rivalry on the part of the Ohio State vs Maryland camps. Just as you might expect from actual wildfires, the Ohio State vs Maryland version seems to come out of nowhere. As luck would have it, the Ohio State vs Maryland meet this Saturday marks only the third time. If previous experience is any barometer for the impending 12 p.m. encounter, it is that Ohio State has nothing to worry about. 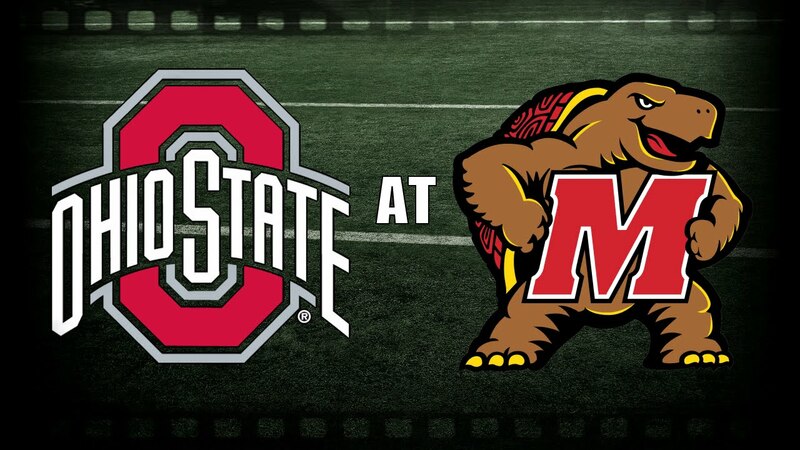 For another, the Terps' current track record points to a losing streak.The only way the Ohio State vs Maryland encounter can escalate into a war of the worlds is if the Buckeyes were to adopt a completely complacent attitude. And that could happen if OSU were to worry too much about its next match with Michigan. For the record, it's a solid 4-0 for Ohio State vs Maryland; and a 2-0 twice over previously. The Buckeyes have likewise consistently outgunned the competition by 87 points in the series. This game on Saturday should be more of the same. 2017's Ohio State vs Maryland rivalry is lopsidedly in favor of the Buckeyes, who were ahead by as much as 48 points. J.K. Dobbins, Mike Weber, and Parris Campbell all had a role to play in snuffing the life out of Maryland. So from last year's look of things, the Ohio State vs Maryland rivalry was a one-way street. Dobbins ran for 96 yards and a touchdown with Weber adding an additional 59 yards and a touchdown. JT Barrett scored on the ground in addition to Antonio Williams and Campbell.